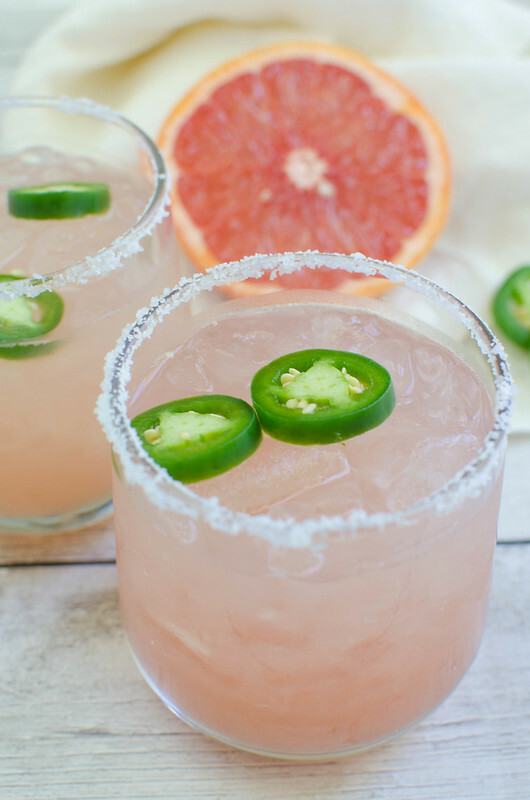 Spicy Salty Dog – freshly squeezed grapefruit juice, vodka, and jalapenos! 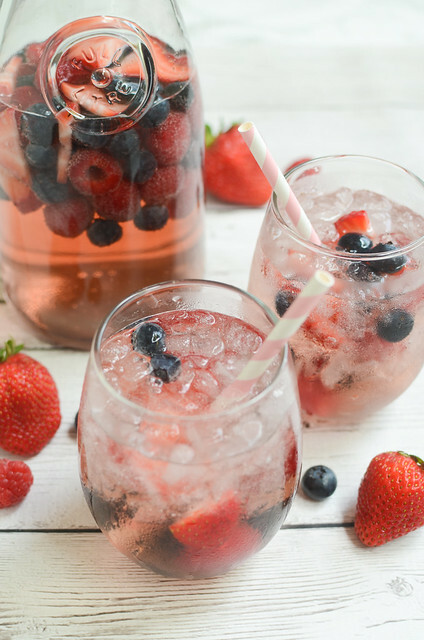 So refreshing and delicious! Whyyyy does this happen to me? And it’s extra lame because the only thing I want to do right now is spend all my time in the woods and I can’t do that when I feel like death. Have you ever had a Salty Dog? It’s literally just vodka and fresh grapefruit juice with a salt rim. So easy, so delicious. This one starts with a jalapeno simple syrup which is just sugar and water and jalapenos simmered together until syrupy and delicious. And then you just add a little of that syrup to the grapefruit and vodka mixture. It’s sweet and spicy so add as much as you want. 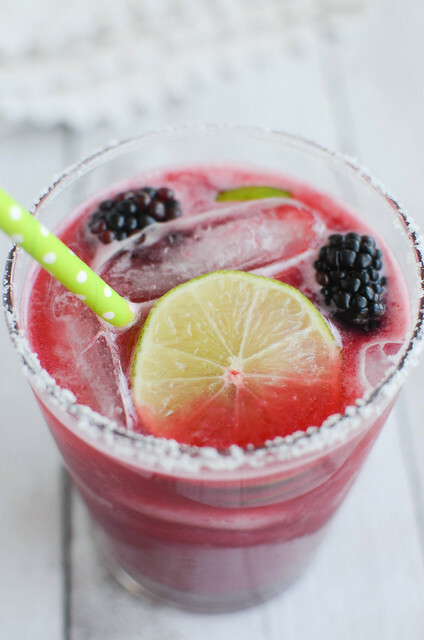 And you can store whatever leftover syrup you have in the fridge for up to a week so you can enjoy spicy cocktails all week long. 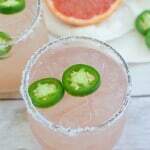 Psst… I have a Spicy Cilantro Margarita recipe if you want another spicy cocktail option! To make the spicy simple syrup, combine sugar, water, and sliced jalapeno in a small saucepan. Simmer for about 8 minutes, until it has thickened to a syrupy consistency. Remove from heat. You can store this in the fridge for several days. To make the cocktails, run a slice of grapefruit along the rims of 2 glasses and dip into kosher salt. Fill with ice. 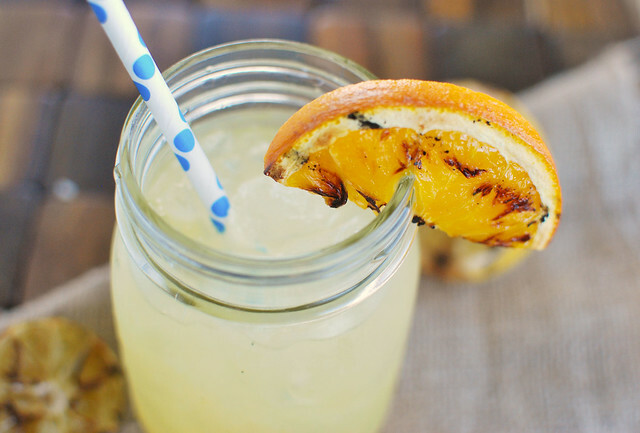 Combine grapefruit juice, vodka, and simple syrup to taste in a shaker filled with ice. Shake until chilled. Strain over the prepared glasses. 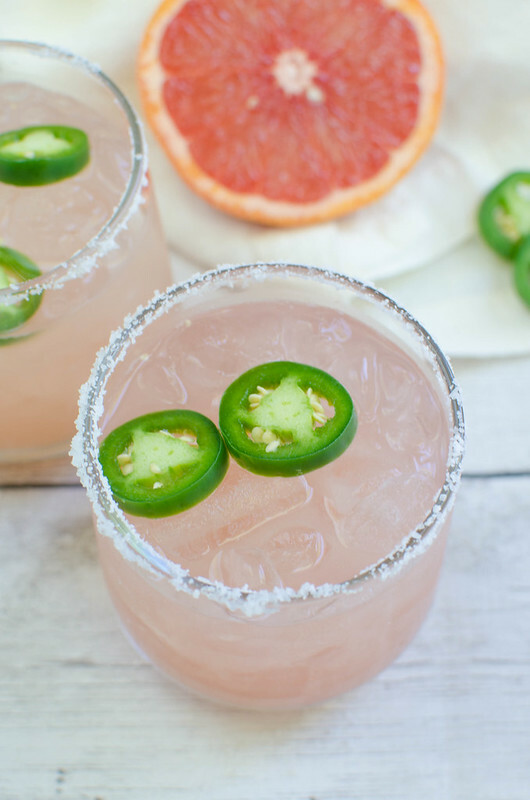 Serve immediately with extra jalapeno slices as garnish, if desired.